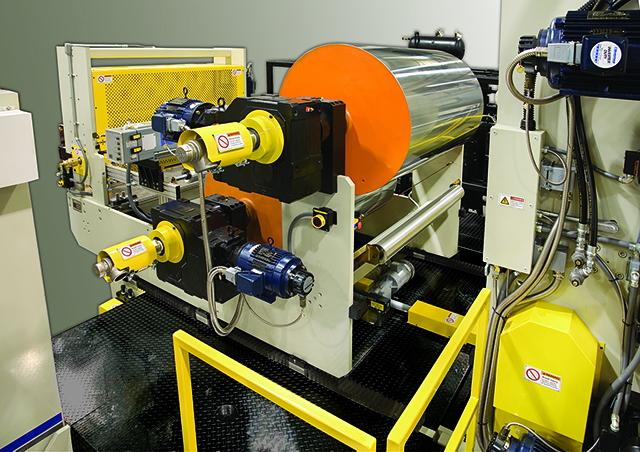 PTi is a leading manufacturer of high capacity co-extrusion sheet systems used for inline thermoforming of deep-drawn PET beverage cups. 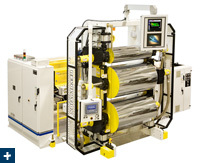 Proprietary technology has been developed in order to assure preservation of IV, stable melt temperatures and rapid cooling of the sheet as it passes through the roll stand. 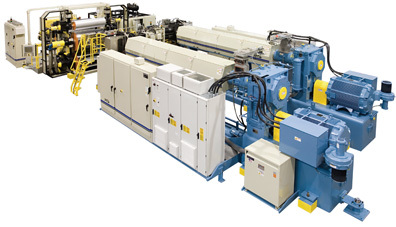 This is particularly important for the production of crystal clear sheet used to make cups and related containers. Hybrid REVOLUTION® Model R601836 3-Roll System. 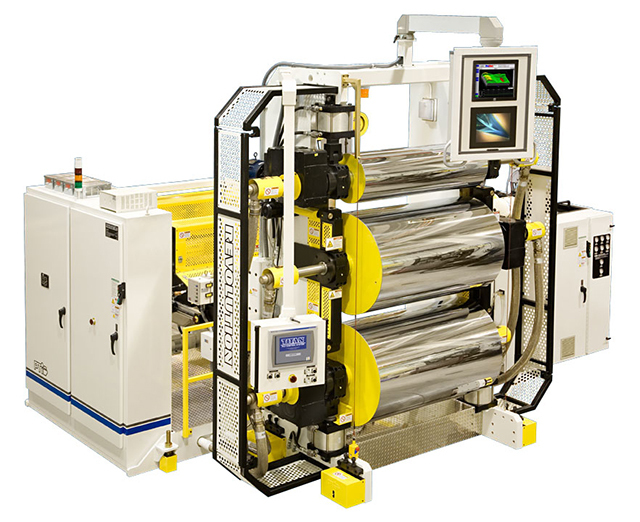 Telescoping roll stand carriage for opening and closing the auxiliary cooling station (PTi Patent No. 7,165,962).